Carol's Paperie: Die Cut Funs! Hi, I'm back again today. 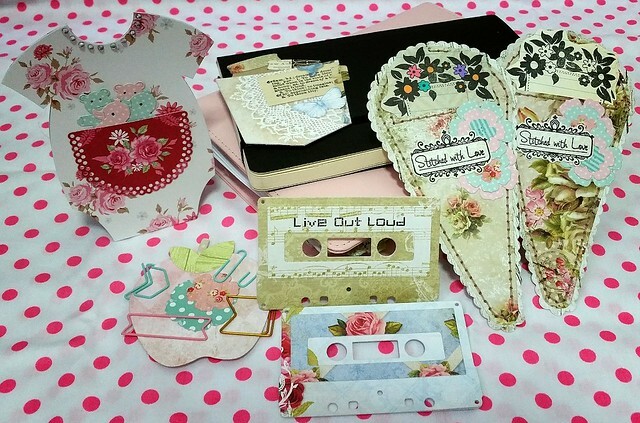 Want to share a project I did for Off The Rails Scrapbooking. Please hop on over for more pictures and a detailed description. I made all these cute bookmarks/pockets for my planner and book reading use with dies. We got so much scrapbook supplies that can last us a life time. So I tell myself that I need to at least use them once. LOL. Hence I'm trying to focus on at least one type of supplies each month. This month is dies!!! That's about all. Do hop over to Off The Rails Scrapbooking to see what my fellow team mates had done and also join us in our monthly mood board challenge. Have fun.